Over 30 Years of Experience- Contact Us for a Free Estimate! 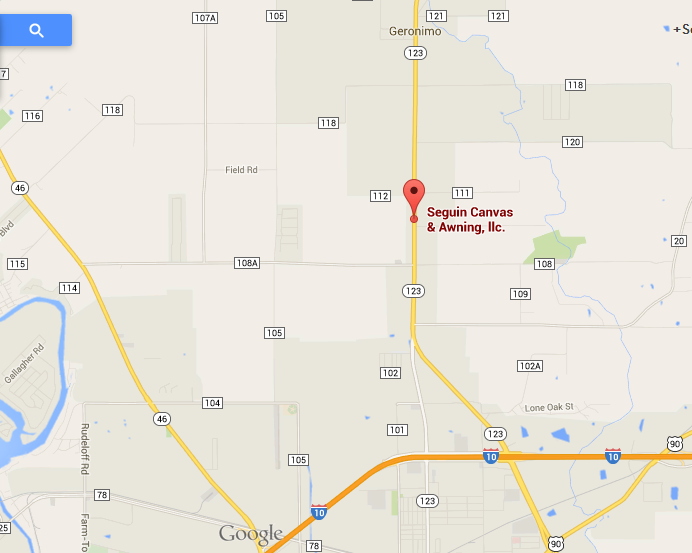 We are located outside of Seguin on North State Highway 123. 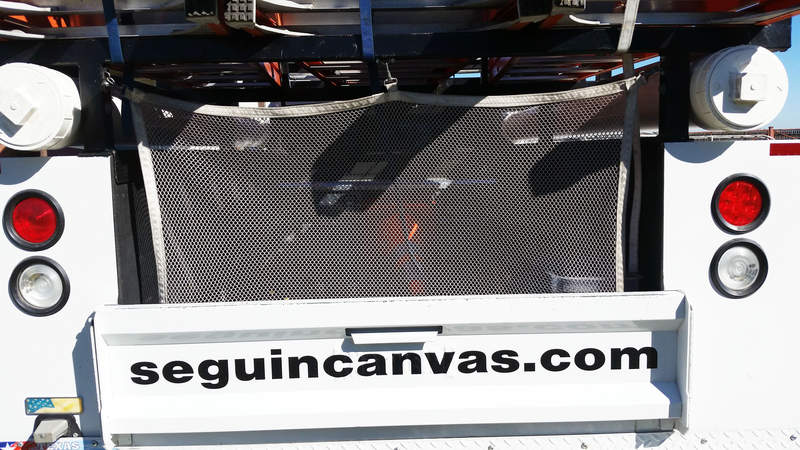 Get Directions to Seguin Canvas & Awning, llc. John Muzny has over two decades in construction, building, and design. He specializes in special projects to include commercial and residential. He has knowledge in design, architectural plans, welding, fabrication, home associations, commercial regulations, as well as special projects. 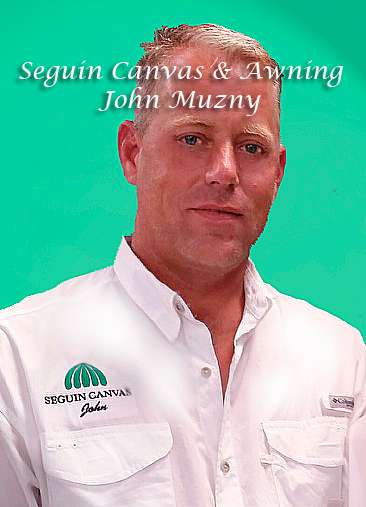 Contact John Muzny at john@seguincanvas.com for your free estimate. John and Rania work together to make your project come to life. 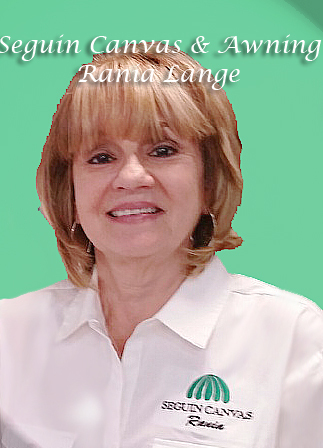 Rania Lange is a business professional in the industry for three decades. Her knowledge of products, designs, specifications, and projects in residential and commercial can help you complete any project. When it comes to colors and fabrics, Rania is the leader in design selection. Contact Rania Lange at rlange@seguincanvas.com for your free estimate. Dedication and team work makes the difference. With years of experience, your team will make a difference in your next project. Commercial and residential are both welcome. No matter what your project has, Seguin Canvas &Awning, llc. is here to help you accomplish your goals. Putting you in control of the seasons for over three decades! Introducing your building and business is how to increase revenue. 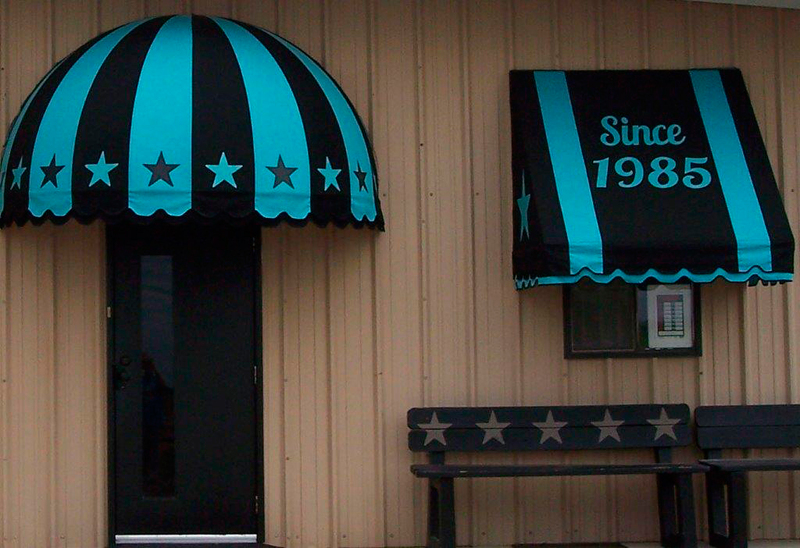 Decide your look you want to encompass, than pick an awning type that will embrace that style. Let our design team help you promote your business. These are the most common awning styles, but if you don't see something you like call us to discuss custom options. We service San Antonio, Austin, New Braunfels, San Marcos, Wimberly, Victoria, Boerne, Houston, Corpus Christi, Brownsville, Uvalde, Pleasanton, Pearsall, Beeville, Port Lavaca, Killeen Bastrop, Waco, Port Aransas, and all other areas in Texas. Serving all of South Texas since 1985. Don't forget about cleaning and maintaining your product! We are an official retailer of Imar Cleaning Products®!